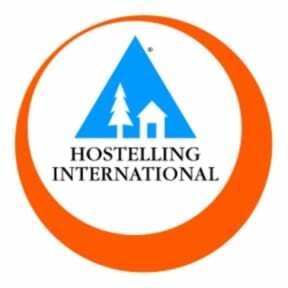 Surcharge for travellers without Hostelling International Membership is 3.50 Euro per night. You can also get an international guest card valid 1 year for only € 18,00. It was fine. Oldish, cheap enough and around some cool things. BIG ISSUE: only 2 power points in a 12 bed dorm - located near the door as well so not secure at all. Very clean place. Good basis for exploring Berlin in terms of location. Full of large school groups and familys and not very much of a hostel hang-out and meet people vibe. Breakfast was standard continental affair with bread and basic toppings, cereal and some fruit. Found to have lot of mosquitos in the room and even the lobby area. Plz take care of it. This is a place that hosts large student groups - not a lot of socialization going on. The breakfast is excellent. Room was full of mosquitoes and I got bitten a lot. My overall experience here was good. My aim is constructive here: at the checking I was badly surprised to be told I have to have a membership (14€). I didn’t like that. The person serving was neither tactful or polite. The beds were covered with some plastic sheets which made racket at night and sleep uncomfortable. Other than that I highly recommend this place but spare an extra fund to book in the lesser shared room, it’s worth it. I booked a private twin for 3 nights. For the same money I could have booked a great hotel room. + Breakfast is excellent. + Bus stop Infront of the hostel. + Location is good. -- No towels. You have to pay 7€ for a towel if you don't bring one. It's nowhere stated to bring your own towel. - Mattresses are very uncomfortable. - Noisy halls. - Very limited amount of wall outlets in the rooms. The staff was very nice, and the location was good since it was right next very to the bus stops. The room and beds were clean, but the bathrooms weren’t all that nice. It smelled a little strong, and the toilet was clogged a couple of times. Also the toilet paper ran out very quickly (It would be nice if there was more than just one extra roll of paper in a room with 12 people). You do get what you pay for though so don’t expect to much. Overall it was an alright stay. Stayed a night there, its not a hostel for me.. Because so many kids and their parents there..